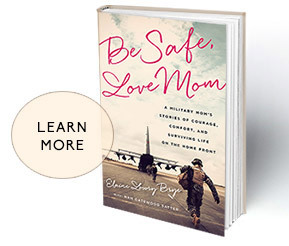 May 8, 2015: Almost 2.7 million Americans have deployed since 9/11, which means millions of military mothers have had to see their children go into harm’s way. Elaine Brye, a mother of four officers, has been a voice for military moms from the 2012 Democratic convention. Now, her new book “Be Safe, Love Mom” is being released. Wyatt Andrews reports.